The Big Bang Theory‘s Miyam Bialik and Johnny Galeki recreated their first screen kiss from the Blossom TV series, on TBS during the Conan TV show. Watch it, below. The cast of The Big Bang Theory appeared on the late-night talk show, last night, in celebration of the CBS sitcom’s 200th episode. It seems O’Brien had a trick up his sleeve, placed there by his crack research staff. Back in the 1990s, when Bialik and Galecki were 14 years old, they had their first onscreen kiss, with each other. Bialik confessed, “It might have been my first real-life kiss also.” Kunal Nayyar urged the two to, “Do it, again.” Eventually they gave in, with much gusto. Watch Bialik and Galeki lock lips. Are you a fan of The Big Bang Theory TV show? Did you watch the old Blossom TV series, back in the 90s? Do you remember the original kiss? Let us know, below. More about: Blossom, Blossom: canceled or renewed?, Conan, Conan: canceled or renewed?, The Big Bang Theory, The Big Bang Theory: canceled or renewed? The Big Bang Theory: No Season 11 for Top CBS Sitcom? 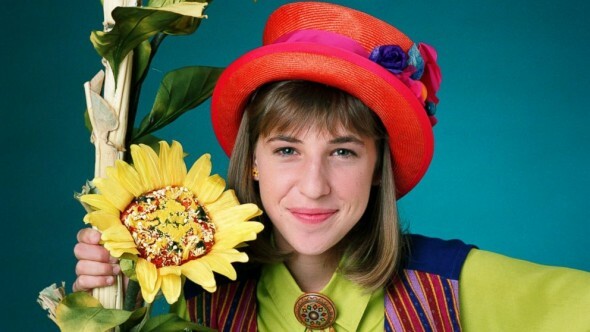 Blossom: Don’t Miss the Cast Reunion… on ‘Til Death?